It’s a familiar situation to many motorists. You’re driving along serenely when a light on your dashboard suddenly illuminates and you enter a blind panic, frantically trying to decipher what the light is indicating and whether the issue to which it pertains will write off your car. Studies show that most drivers fail to recognise many of the warning lights on their dashboard, let alone understand the significance of them. Our guide to your car’s warning lights aims to help you understand each of the lights that could pop up in the middle of a journey, in addition to whether a light indicates nothing more than a routine function or is telling you to stop immediately and seek mechanical help. In a survey from Insurance.com, 2,000 drivers were asked to interpret 10 of the most common dashboard warning lights. How many failed to recognise each one? The survey also showed that men are overall more confident than women of correctly interpreting dashboard warning symbols, but fewer than half of all drivers would confidently be able to identify car warning lights. The colour of warning lights on your car will indicate the severity of a problem and whether instant attention is required. A green or blue light indicates that a system is on or operating. This is nothing more than a ‘business as usual’ notification, so there’s no need to worry. A yellow or orange light indicates that something in your car needs to be remedied soon, but you will still be able to drive as normal in the short-term. If a yellow or orange light is flashing, this is more serious and you should contact your motor repair shop. A red light indicates a critical problem in your car and, if you see a red light illuminated on your dashboard, you should pull over as soon as you can stop your car in a safe place and get the problem fixed by a qualified mechanic. If your vehicle’s brakes are faulty, your car is a death trap. 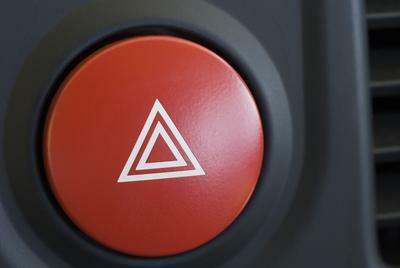 This red light showing an exclamation mark within a circle indicates that your brakes need instant attention. Without coolant, your car’s engine would become dangerously hot. This light generally warns you that the engine could be overheating and while it may signal a mere leak in the system, it could also indicate a major problem such as head gasket failure. If you see this light appearing, pull over unless you want your engine to explode. This light will appear if the oil temperature is too high, the oil pressure is too low or if your car is almost out of oil, the substance which lubricates your car’s engine. If the engine oil warning light illuminates, this lubrication is minimal or non-existent and a hefty repair bill could be on its way unless you take instant action. This light will come on when you start your car, but should go off again after 1-2 seconds. If it remains on, it means there’s an issue with your car’s electrical system, possibly a faulty alternator or battery. A malfunctioning alternator means your battery won’t be charged and you could come to a sudden halt once your car loses electrical power. The illumination of this light is often accompanied by worrying symptoms such as a lack of power or intermittent stuttering when you accelerate. It may allude to just a faulty electrical sensor, but it could just as possibly indicate a critical mechanical issue. If you continue to drive with this light on, your car could incur permanent damage. Your tyre pressure monitor light will, as the name suggests, warn you of severe deviations from normal tyre pressures and could often indicate a puncture. If you see this light appearing, pull over as soon as is safely possible and inspect your tyres’ rubber. Your car is fitted with airbags which are designed to activate in the event of a crash and protect you from serious injury. The illumination of your airbag warning light could either mean that your airbag won’t activate if you crash, or possibly could activate suddenly while you’re driving, potentially causing shock and minor injury. Plus, it’s an expensive problem to fix. This light indicates a problem with your car’s steering, which could make it challenging to change the direction of your car. At a low speed, it’s annoying. At high speed on a motorway, it could be a serious risk if you’re trying to change lanes quickly. This light is likely to come on if the compressor isn’t providing as much air as normal or if one of the inflatable air suspension bags is leaking. It may be OK to continue driving if this light appears, but it’s probably best to pull over and call for help when the opportunity arises, in case the compressor isn’t working at all. You may think that a door on your car is closed, but these lights indicate that it hasn’t been secured fully, which is a dangerous scenario when your car is in motion. The symbol on the left indicates an open bonnet, the middle symbol indicates an open side door and the symbol on the right indicates that your boot is open. If your car is in motion and you or a passenger is not wearing a seatbelt, this light will appear and an alarm will sound to advise you to fasten the seatbelt. Once the guilty party is securely belted up, the light will disappear and the alarm will fall silent. An orange or yellow warning light on your dashboard tells you that there is an aspect of your car which needs attention soon, but it is not so urgent as to require immediate action. When this light appears, it’s telling you that your fuel tank is nearly empty, so you’ll soon need to top it up at a filling station. If this light is flashing, you should get to the nearest filling station immediately. Generally, you’ll be able to drive for another 40 miles approx. after the light first comes on, but this could vary from one vehicle to another, so it is worth checking the average for your car. This light informs you that your car is low on windscreen wash fluid, which could be problematic if you’re driving in conditions where your windscreen wipers are necessitated. When you get a chance to refill the reservoir, look for a container cover with a logo the same as the one above. Your antilock braking system (ABS) prevents your wheels from locking when you brake in slippery conditions. If you notice this light coming on while driving, take your car to a repair shop as soon as possible. You can continue to drive if this light appears, but you’ll need to be extremely disciplined with your braking. It’s safer to get it fixed at the earliest opportunity. When this light appears, it’s telling you that at least one of your brake pads needs replacing. When the brake pads are fully worn, metal will touch metal whenever you brake, which could cause huge damage to your vehicle’s braking system, so get the pads changed as soon as you can. A dull grinding noise upon applying your brakes also hints at the need to change your brake pads. Your car should be serviced once a year or after a defined number of miles, depending on how much driving you undertake. If you see this light illuminating, it means that a service is due, so book a service without delay. If either of these symbols illuminates while you’re driving, it indicates that your vehicle’s security system is malfunctioning. This is also the case if the light remains on after the engine does not start with the correct key, and you may need a key with the correct transponder to start the vehicle. The demister is a very valuable system in cold weather when you need to clear your rear window, but it should not be left activated for any longer than necessary, as it will consume a large amount of the battery’s energy. It will not go off automatically, so you’ll need to remember to deactivate it. The light could appear on your dashboard or on the demister button. Diesel engines need a glow plug to heat the engines before ignition. Normally, this light will illuminate upon ignition and disappear once sufficient heat is applied. If this light flashes or does not illuminate at all when the engine is started, there is a fault with the glow plug, its wiring or its fuse. When your car loses traction (often in wintry driving conditions), the traction control system shifts power to the wheels that are gripping so that you can keep the vehicle moving safely. It could illuminate for 1-2 seconds upon ignition, but if it stays on thereafter, it means that either there’s a problem with your traction control system or the system is deactivated and no traction control is available. A green or blue light on your dashboard is purely informational and reassures you that standard controls are working. This light informs you that your headlights are on, but they are dipped as full illumination is not needed. These will be activated where brightness is not at its fullest, when driving through built-up areas with plenty of illumination, or when driving behind or against another vehicle within sight. Remember to turn these off when you’ve finished driving, as leaving them on will drain your battery before you next try to start your car. However, on many modern cars, headlights will turn off once the engine is stopped. This light informs you that your full headlights (a.k.a. high beams) are activated. You will only need these when driving in total darkness and where no other cars are driving in front of you or against you. If you have your full beams on and another moving car comes into sight, deactivate these momentarily so that they won’t blind other motorists. This light informs you that your fog lights are activated. You will only need these when driving in foggy conditions and should be turned off once fog has cleared, as they can dazzle other road users and partially obscure your brake lights. Some cars will also have the above symbol in reverse to indicate that rear fog lights are switched on. These lights will flash momentarily when you activate the indicators on your car, signalling to other road users the direction in which you intend to turn. You’ll usually only see one of the arrows, depending on which way you’re turning. When you press the hazard light symbol in your car, both arrows will flash, as will the orange lights at either side of the front and back of your vehicle. This light will appear when you activate the cruise control in your vehicle, which keeps the vehicle at a steady speed (e.g. on motorways) and allows you to relax your feet, but you should keep your hands on the wheel and remain focused on the road in case you unexpectedly need to slow down. Pressing the brake or cruise control button will deactivate cruise control. This tongue-in-cheek video explains some of the dashboard warning lights in your vehicle. Now that you’ve read through our dashboard warning light guide, hopefully you will avoid any undue worries you may have had any time a light began flashing. If unfortunately you notice a red dashboard light while driving and you need mechanical assistance, make sure to call the team at Woodstock Motors and we’ll attend to the problem quickly and professionally.